With literally days to go until the launch of the DLC 2 for Black Ops 3 and we already know the names of the Wonder Weapons - namely the Masamune, KT-4 and Skull of Nan Sapwe. Since Zetsubou No Shima is related to Takeo's part of the Easter Egg story these wonder weapons make perfect sense. With every zombies map we expect new Wonder weapons. These overpowered, sometimes magical weapons grant players an incredible boost to firepower and in some cases they're the only weapons worth using at higher rounds. Now that we know what the Zetsubou No Shima wonder weapons are, let's take a minute to discuss their behaviours and traits. Please note that some of this information is speculation at this stage but will be updated as new information arrives and even more so following the release of DLC 2. We all knew it was coming but this is 100% confirmation that Zetsubou No Shima does contain a Katana sword weapon. There is also confirmation that the Masamune weapon is upgradable through various means but we don't know the exact process just yet. 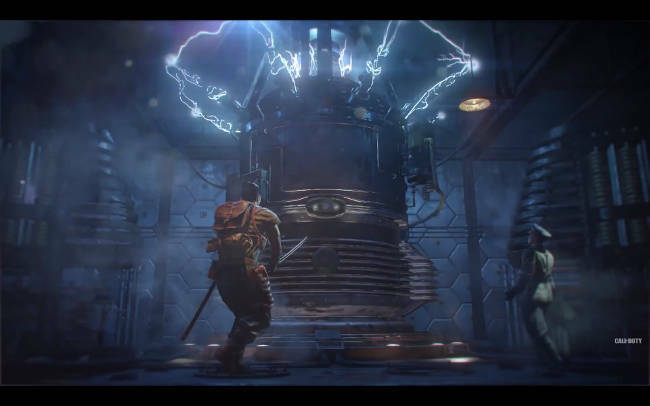 Most would guess correctly by saying that the Katana should be upgradable through a sequence of steps, interactions and finding various items around the map - this is the traditional Treyarch way. The term Masamune is in reference to Japan's greatest swordsmith who created swords and daggers of superior beauty and quality. With Takeo taking center stage for this map it makes complete sense that a Japanese martial arts sword would be the Wonder Weapon of choice. 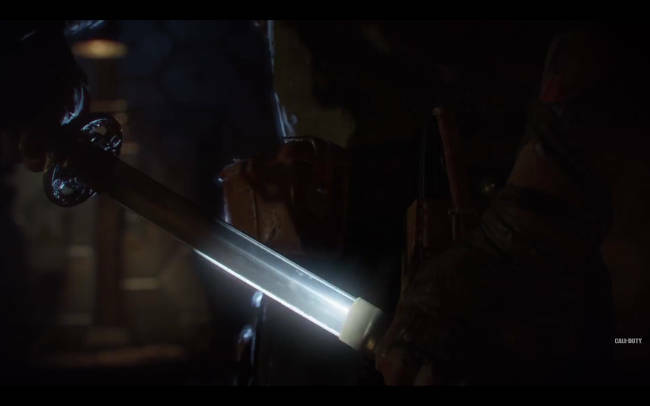 We've often seen Takeo with this sword in previous trailers, remember Origins? Takeo jumps into the air and comes crashing down with the Katana slicing zombies into pieces. We all thought the weapon was coming back then but now it looks like it's time for the Katana to make a grand entrance. Unlike the Bow weapon from Der Eisendrache the Masamune is of course a melee weapon and with that comes close proximity attacks. This in itself will up the difficulty and risk factor when using the sword, making the island map sufficiently harder than it's predecessor. Not much is known about this weapon yet apart from it's name. Nan Sapwe was actually a semi-mythical hero warrior who conquered the Saudeleur Dynasty of Pohnpei, which we know is the small island where DLC 2 takes place. This hero may be the character who grants both the Katana and the Skull of Nan Sapwe. The weapons name first appeared through a glitch in multiplayer. I'll update with further details soon as Zetsubou No Shima is revealed by Treyarch. Sounding suspiciously like the DG-4 from Der Eisendrache this Wonder Weapon will in all probability be a buildable item that consists of several parts. Remember, that the DG-4 was built from three parts that the player had to collect through various tasks including killing the panzer BOSS and collecting a part using the launch pads. Once all of the parts have been collected the DG-4 should be buildable at one of the appropriate workbenches on Zetsubou No Shima, which is also where players build the zombie shield and other map specific buildables. Previously with the DG-4 we thought that it would be like the Wunderwaffle weapon which had the code name DG-2 in the World at War series. However, it turned out to be a combination of Gravity Spikes (a multiplayer specialist ability) and a placeable turret weapon. With the KT-4 we can expect that the weapon is also similar to another MP specialist ability, this time the HIVE or Spike Launcher as it's known in the game files. For those of you that are unfamiliar with the HIVE ability let me explain. This specialist ability is part of the Nomad character and it's actually a launcher weapon that fires pods that act as proximity mines. When enemies (zombies in this case) come too close the pods explode hence the term proximity mines.